Sega’s 32-bit, fifth-generation game console, the Sega Saturn, may have been a commercial failure but there’s one thing the company absolutely nailed – its DRM. But that’s not really where this story begins. 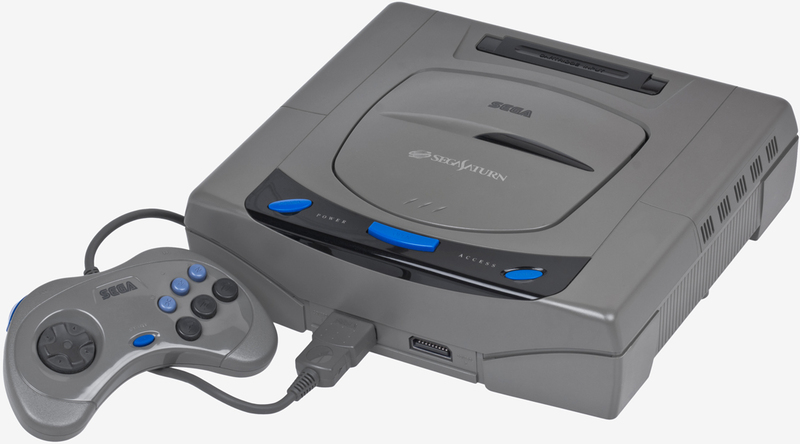 The Sega Saturn made its North American debut in May 1995 and although it was only on the market for a handful of years, more than nine million consoles were sold worldwide. Now, over 20 years later, owners are finding that the optical disc drives are starting to wear out. The console itself still works but without the disc drive, it’s more or less useless. That’s where James Laird-Wah, better known as Dr. Abrasive, comes in. Laird-Wah was determined to try and figure out a way to bypass the optical drive and have the console run games by reading them from a USB drive. As you’ll see in the interview above, however, this was no easy task as Sega over-engineered the copyright protection system. It took about three years but Laird-Wah finally able to crack the DRM. In addition to reading from the USB drive, he also figured out how to write data to the drive which allows him to store game save files and chiptune tracks. Dr. Abrasive hasn’t yet released his DRM-cracking tool as there’s still a bit of work that needs to be done. But even still, this is great news for retro gaming fans – especially those who own a Saturn with a dead optical drive. I'm not sure whether to admire his dedication or wonder how bored he could possibly be? Tinkering with electronics is an incredibly rewarding hobby if you have the know-how. It's unfortunate that you will never understand that joy. OMGitsShan, mbrowne5061, liammac002 and 5 others like this. It's well past end of life. Piracy isn't a concern. Surely they would be able to bypass it. I wish I had his knowledge and understanding of electronics,if I tried I might inadvertently set all the nukes off. It either you get it or you don't. Tickering with electronics is how I'm even typing on this site and why I became good with computers. And it all started with ripping apart a broken VCR when I was like 10 trying to figure out how it worked. MonsterZero and noc81 like this. People can say what they want about its popularity and terrible release timing, but the Saturn was a great console. I played the sh!t outta mine. Die Hard Arcade, Virtua Cop 2, Virtua Fighter 2, Virtual On (ooops Dreamcast), Panzer Dragoon, Sega Rally Championship, Nights Into Dreams, Shining Force III, XMEN Vs StreetFighter, Daytona USA, to name a few. Only a 2 player console though, but besides that is housed some quality gaming. Will this also open the door for virtual simulators? Still have mine in it's original box, along with all the accessories like the steering wheel and virtua stick, in my attic. I completely understand "tinkering with electronics." Little do you know I was building transistor radios and oscilloscopes as a hobby more than likely before you were born then progressed to programming using 96 column punch cards in PASCAL, BASIC and FORTRAN. But my tinkering involved working with something I could use and was relevant. Not cracking old technology that 10 people around the world might think is cool. EClyde and gingerbill like this. If that's true then you should understand the desire to undertake something simply because it's hard. There's very little point to climbing a mountain, don't you think? OMGitsShan and gingerbill like this. This shows that you are unfamiliar with the boom right now in retrogaming. I don't say this as an insult. Especially with the advent or more and more powerful single board computers (Raspberry Pi, Udoo, Up Board, etc) hundreds of thousands of people are being able to either once again enjoy gaming from the 80s, 90s, and 2000s or experience hem for the first time. My introduction to M.A.M.E. for example was driven by wanting to play again a he called Psycho-Nics Oscar which hasn't been available for twenty years now. This shows that you are unfamiliar with the boom right now in retrogaming. You mean like Pokemon? I can't believe that crap has come back. I'll take the pre90s cartoons over Pokemon any day. Next week it will be Barney and Teletubbies flooding social media. toxicfiend and EClyde like this. Don't you know its blasphemy to even mention these two words "Barney" & "Teletubbies"
EClyde and cliffordcooley like this. There's still likely legal hoops they'll have to go through, and money to spend in order to do that and help. So given their poor track record over QA on games, I wouldn't get my hopes up. Point being the don't really seem to care about customer interests on a large scale, so won't on this scale. The Sega Saturn was my favorite game console of all time. I have hundreds of import games and even have my Saturn hooked up in my bedroom. I can't remember if I have a second console for "just in case". To bad you will never understand the joy that comes from a direct insult vs a veiled one. Saturn's giant moon: How long has Titan's chemical factory been in business?